Beta glucan is a scientifically proven biological response modifier (BRM) that naturally and nutritionally potentiates, modulates and helps normalize the immune response. As a supplement, after swallowing orally, Beta 1,3/1,6 glucan is ingested while performing primarily through macrophage and dendritic immune cells, including Dectin-1 receptors, to nutritionally, according to research, enhance immune cell pathogenic defenses. Dectin-1 receptor systems have been incorporated as the pattern recognition receptors [PRRs] of Beta glucans in the innate immune cells of higher animal systems, which function to enhance systemic immune function. For many years Glucans have been investigated (History) for these immune response modifying properties, particularly their ability to activate macrophage immune cells and NK-Cells, plus in turn, the T-Cells, and B-Cells including selected cytokines and complement. Poly-branched B-1,3-(D)-Glucans are naturally occurring polysaccharides, with or without B-1,6-(D)-glucose side chains, that are integral cell wall constituents in a variety of bacteria, plants and fungi. Glucan receptors to deliver non-self derived glucan to the immune response cells have been identified on macrophages, dendritic cells and other cells. The Beta-1,3-(D)-glucan with Beta- 1,6-glucan linkage extracted from yeast cell wall (Saccharomyces cerevisiae) has been shown to act as a potent non-specific immune-activator and immune response modifier. The scientific literature on glucans is voluminous over many decades, and there is also a considerable body of patent literature. This Index is not intended to be a complete compilation of all beta glucan research, but rather is keyed by health topic benefiting from a modified immune cell response, research objective or contribution and targeted to research on yeast-cell-wall-derived Beta- 1/3,1/6-glucan. This indexing format varies from standard research classified by “researcher(s)” to make finding applicable research to a specific health topic easier for both the scientific and nonscientific user. As a note, particulate insoluble beta glucan is the glucan form in nutritional dietary supplements, while soluble glucans are primarily utilized in intravenous applications. Particulates are not generally considered usuable as injectables due to being particles and particle size. Neither the volume nor weight of beta glucan determines effectiveness or optimum dosage, but rather the key determinant is the degree of activation of the immune response by any given glucan in a specific amount, determined by an acceptable scientific method. In other words, more is not always better. Judge by the extent to which the amount of beta glucan in a product enhances the immune response and immune cell activation and not solely by the quantity of any given beta glucan in a capsule. To emphasize, high milligram dosages and high percentages of beta glucan in a capsule are not determinants of immune response or ingredient purity and cell activation. The true determinants of immune response activation and effectiveness are beta glucan source, processing (including avoidance of reaggregation or agglomeration during digestion), sizing and uniformity of beta glucan particles ingested. Several prior beta glucan studies used larger volumes of beta glucan than found in current effective oral beta glucan nutritional supplements, but these were not experiments designed to determine optimum dosage relative to the immune potentiation capabilities of a specific glucan and most were performed in the 1970’s and 1980’s. Current science has demonstrated 3 to 100 mg of a properly processed and high quality Beta- 1,3/1,6-glucan or Beta-1,3-(D)-glucan with Beta- 1,6-glucan linkage extracted and isolated from yeast cell wall is an effective biological defense modifier dosage amount (see “Dosage”) with dosages above 100 mg of a quality processed glucan potentially but not always diminishing in immunopotentiality with increased amounts. Lower quality, or glucans that reaggregate in the digestive process to non-uniform globular size, usually are sold in high milligram amounts that, without adequate immunopotentiation capability proven by independent laboratory testing, can be minimally effective. While generally inexpensive, these high milligram content capsules are inexpensive due to limited processing to minimize detriments to beta glucan immunopotentiation and minimal if any efforts to reduce particle size to uniform micro-nano particulate sizes of 1-4 microns (micrometers) equal to 1,000-4,000 nanometers. 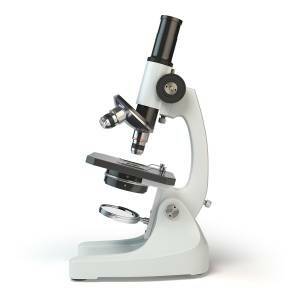 As a note, macrophage immune cells are generally 8-21 microns (micrometers) in diameter. Bigger and heavier are not necessarily positive characteristics of Beta glucans and can indicate lower grade Beta glucans only minimally effective in immune response activation. Lower grade Beta glucans must be provided in higher milligram amounts to be measurably effective in immune response activation. Current marketing often hypes high milligram content or percentage of a capsule containing any grade or quality Beta glucan, but sound science judges and measures safety and immune potentiation by the positive immune reaction and activation created by the amount of Beta glucan actually contained; i.e. a small amount of high grade Beta glucan initiating a potent immune response in a capsule is many times as effective in immune potentiation as a high volume of inferior Beta glucan, irregardless of weight or size, with minimal if any immune potentiation capabilities. Ingestion is optimized by beta 1,3/1,6 glucans that are specially processed to prevent reaggregation that in turn yields enhanced internalization and nutritional potentiation of the targeted immune cells, normally the macrophage immune cells. The immune response with non-reaggregated glucan particles ingested by macrophage or dendritic cells is modified to respond faster and in greater numbers to attack non-self in the form of pathogens and preferably in microparticulate form (see Particle Size research). In immunotherapy research, MG Beta 1,3/1,6 glucan is recognized as a cell-based activation and modification agent and works by amplifying the immune response of Immune effector cells such as macrophages, dendritic cells, natural killer cells and cytotoxic T-cells. Immune effector cells work together to defend the body against cancer by targeting abnormal antigens expressed on the surface of tumor cells and to recognize, respond, kill and remove other pathogens . A common test to determine a glucan’s immune response potentiation effectiveness is the measure of the degree to which a glucan increases the nitric oxide burst, a pathogen killing agent, in the macrophage immune cell. Particle size and uniformity of same have additionally been scientifically shown to be important factors in nutritional potentiation and modification of the immune response with microparticulates of 1-4 microns optimum, and for this reason “particle size” has been included as a research category in this beta glucan research data base. As a note, macrophages are generally approximately 10-21 microns in diameter. Be sure in evaluating comparisons of glucans to confirm the compared glucans are all in the form delivered to the immune cells (usually macrophages) after being subjected to the digestive process, including subject to acid, enzymes and water. Being a small particle glucan when swallowed is a positive step, but the critical determinant is being an extremely small microparticulate of 1-4 microns particle after going through the digestive process and then being delivered to the Peyer’s patch in the lymphatic system to effectively modify and activate a beta glucan receptor (Dectin 1 or TLR) on a macrophage or dendritic cell to potentiate and enhance the immune response cells. A certificate of analysis for a specific beta glucan or beta glucan product should be available on request from a recognized independent GMP laboratory and not the manufacturer or distributor (conflict of interest), with clear delineation of specific tests and/or specifications for each category accepted and approved according to industry standards. Is the product a private branded product provided the reseller by another manufacturer, or is the product from the original manufacturer? Has the entity selling the product been actively involved in any medical school research related to the product in the bottle? “No” to the first question and “yes” to the second indicate a preferable beta glucan product from a primary source involved in scientific studies to study and improve glucans. Acquiring intellectual property can be beneficial, but actively creating science in on-going programs to produce intellectual property and glucan information with new understanding is far preferable in product manufacturer activities. Be on alert if tests, graphs and results do not include immune potentiation capabilities, particle size and ability to negate reaggregation in the digestive process, but rather disclose or compare only glucan volume in milligrams in the product and capsule ingredients. The latter variables are not reliably indicative of immune cell activation capabilities or positive modifications. Product dollar cost per milligram of glucan also has nothing to do with immune cell potentiation and/or modification capabilities of a specific glucan product and may represent only an inexpensive, poorly manufactured or processed glucan, compared to a justifiably more expensive premium beta glucan products processed to higher standards, especially in testing and compliance programs. While everyone seeks a bargain, health is not an area to seek a minimal price at the cost of quality and effectiveness. Be sure labeling is also in compliance with FTC and other government regulations, which are specific in format and content. Beta 1,3/1,6 glucan or Beta-1,3(D) glucan in the February 15, 2019 FDA update is classified as GRAS or generally recognized as safe. Be aware and suspicious of broad health claims in supplements unsubstantiated by science and cautiously evaluate scientific research on glucan compositions that differ substantially from the product being sold (examples: insoluble-particulate glucans research to support soluble glucan, or yeast beta glucan (Beta-1,3-(D) or Beta-1,3/1,6) studies to support oat and barley derived glucan (beta 1,4) immune potentiation capabilities and vice versa). Obviously, avoid resellers who are not aware there are differences in glucans or those who do which only seek to sensationalize by inappropriate marketing. Go to https://www.fda.gov/ to see current warning letters and additional information on beta glucan vendors. Do not be shy when your health or the health of your patients or customers is involved and demand complete information on the product and the parties involved to make informed decisions. Be informed to determine appropriate applications, premium beta glucan products and how to differentiate the effective from the promoted. Remember individual products containing Beta glucan can (1) range widely in forms of Beta glucan chemically and structurally; (2) range widely in processing procedures from unique U.S. Patents to none when private labeling; (3) range widely in quality of the processed Beta glucan due to source, processing and microbial testing during preparation and (4) be subject to various levels of honesty in immune normalization and potentiation capabilities of an individual product, including outright and purposeful misrepresentations in marketing utilizing performance criteria such as weight and volume in a capsule, known to have no meaningful relationship to an ingredients ability to normalize, potentiate or modulate the immune response nutritionally. Beta Glucan, particularly Beta- 1,3/1,6 Glucan extracted from yeast cell wall, can be a potent immune response potentiator and modulator when processed and distributed in a reputable and scientifically researched composition in an effective dosage. Beta- 1,3/1,6 Glucan extracted from yeast cell wall also has excellent potential to be a major contributor to the now prevalent immunotherapy research focusing on many health situations. The research recorded on this non-commercial website, with constant additions and updates on publication, is a first step in understanding this complex and nutritionally beneficial natural substance – Beta glucan. MG Beta Glucan has been shown to enhance the envelopment and digestion (phagocytosis) of pathogenic microorganisms that cause infectious disease…The Beta-1,3/1,6 glucans additionally enhance the ability of macrophages, one of the most important cells in the immune system, to kill tumor cells. Laboratory studies have revealed the new MG Glucan is significantly effective at activating macrophages, and via the macrophages, the entire immune cascade including T-Cells and B-Cells. 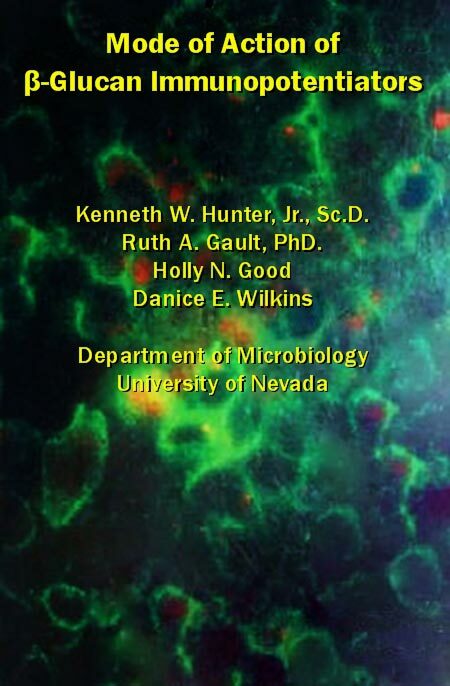 Activation of Immune Defense Against Infectious DiseaseHunter K, Gault R, Jordan F, “Mode of Action of B-Glucan Immunopotentiators-Research Summary Release,” Department of Microbiology, University of Nevada School of Medicine, Jan 2001. Particle size is likely the primary factor that governs endocytic uptake of particles. The optimum size of particles for efficient endocytic uptake varies according to the cell type. Macrophage cells are able to ingest large particles having a diameter between 1 micron and 10 microns to eliminate invaders from outside the body. The optimal sizes of the particles for the uptake by alveolar macrophages [primarily in the lungs] range between 3 microns and 6 microns, but those by peritoneal macrophages and peripheral blood mononuclear cells are reportedly from 0.3 microns to 1.1 microns. The term micronized in reference to beta 1,3/1,6 glucan particles refers to insoluble particles 5 microns or less in size, with uniformity in micronized particles in size in a dose an important variable. The percentage of phagocytic macrophages was found to be strongly dependent on both the particle size and the particle Fc density. ...Interaction with the smaller particles (micronized 0.5 µm and 1 µm) at a low Fc density resulted in a greater percentage of phagocytic macrophages than with high Fc density. ...Therefore, larger microparticles (micronized 3 µm and 4.5 µm) may be more efficient at delivering a greater therapeutic payload to macrophages, but smaller opsonized microparticles (0.5 µm to 2 µm) can deliver bio-active substances to a greater percentage of the macrophage population. Note: Fc is an antibody molecule known as the crystallizable fragment. µm = microns. Smaller Particle sizes were 0.5 to 1 micron. Larger Particle sizes in this study were 3 to 4.5 µm (microns) However, particles from 5 to 100+ µm (microns) are considered aggregated or agglomerated and sometimes referred to as globular due to increased size and reduced phagocytic activity. The results of all studies [in vivo, in vitro, human clinical trials with dietary insoluble yeast beta-glucans] taken together clearly indicate that oral intake of insoluble yeast beta-glucans is safe and has an immune strengthening effect. ...Insoluble B-glucans are able to activate both the innate and adaptive immune responses...Two independent randomized, double-blind, placebo-controlled clinical trials showed that daily oral administration of the proprietary insoluble (1,3)-1,6)-B-glucan, derived from brewers' yeast, reduced the incidence of common cold episodes during the cold season [25%] in otherwise healthy subjects. Immune (Immunological) modulatory effectsStier H, Ebbeskotte V, Gruenwald J, "Immune-modulatory effects of dietary Yeast Beta-1,3/1,6-D-glucan," Nutr J, 13:38,PMID: 24774968 PMC40112169, Apr 28, 2014. …the presence of a particulate activator can rapidly initiate assembly and amplification of a host defense system involving humoral and cellular interactions with B-glucans. …Animals pretreated with purified glucan particles are subsequently more resistant to bacterial, viral, fungal, and protozoan challenge, reject antigenically incompatible grafts more rapidly and produce higher titers of serum antibodies to specific antigens. Administration of glucan particles …stimulates…proliferation of macrophages and increases in phagocytic and secretory activities of macrophages. …A cascade of interactions and reactions initiated by macrophage regulatory factors can be envisioned to occur and to eventuate in conversion of the glucan-treated host to an arsenal of defense. An Arsenal of Immune DefenseCzop, Joyce K., “The Role of Beta.-Glucan Receptors on Blood and Tissue Leukocytes in Phagocytosis and Metabolic Activation”. Pathology and Immunopathology Research; 5:286-296. Harvard Medical School. 1986. The beta 1,3/1,6 glucan used in various research presented is from multiple sources in various amounts; none determined nor controlled by this website. Check the full research to see sources and amounts used in a specific study. PubMed IDs are presented for most research. No commercial products are presented herein and no claims or endorsements are made by this non-commercial website regarding any commercial products containing beta 1,3/1,6 glucan nor endorsement or warranties of any of the research by various entities herein. Information and statements regarding beta glucan, dietary supplements and/or other research substances in this non-commercial site have not been evaluated by the Food and Drug Administration and are not intended by compilers of the research presented here-in to diagnose, treat, cure, mitigate, or prevent any disease. As previously stated, no commercial products sold wholesale or retail are endorsed or offered and none can be acquired through this website.